Bill Gates explains why the climate crisis will not be solved by the free market. In a recent interview with The Atlantic, billionaire tech magnate Bill Gates announced his game plan to spend $2 billion of his own wealth on green energy investments, and called on his fellow private sector billionaires to help make the U.S. fossil-free by 2050. But in doing so, Gates admitted that the private sector is too selfish and inefficient to do the work on its own, and that mitigating climate change would be impossible without the help of government research and development. Gates even tacked to the left and uttered words that few other billionaire investors would dare to say: government R&D is far more effective and efficient than anything the private sector could do. Japanese defense spending will increase 1.5 percent during the next fiscal year. The cabinet of Japan’s Prime Minister Shinzo Abe approved a record 5.05 trillion yen ($41.4 billion) defense budget for fiscal year 2016/2017 and slightly below the 5.09 trillion yen requested by Japan’s Ministry of Defense (MOD), The Japan Times reports. This marks the fourth consecutive rise in defense spending since Shinzo Abe assumed office in December 2012. When you take “SACO-related expenses” out of the equation, the actual spending that JMOD has proposed for itself is approximately 4.93 trillion yen ($41.4 billion) — comparable to what Tokyo spent on defense in 2002. Jaitley, like Singh When a good man finds himself in bad company. 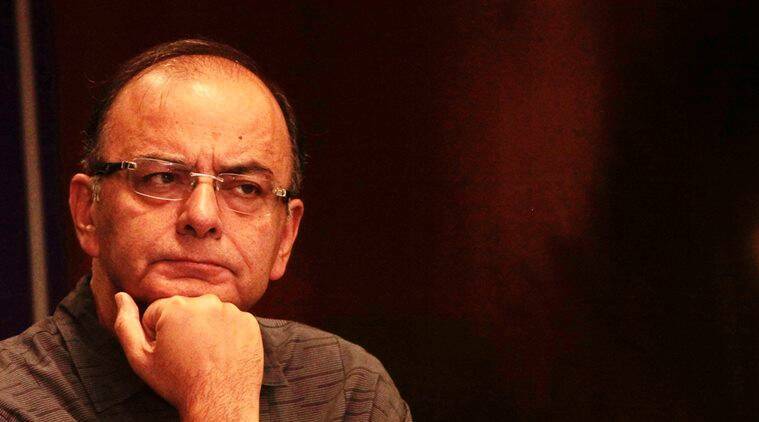 In many ways, Arun Jaitley is the Manmohan Singh of the BJP. 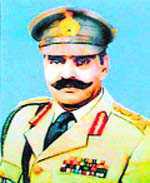 Like Singh, he was a successful and much-admired professional before he became a member of Parliament and Union minister. Like Singh, he has a calm demeanour, and friends across the political spectrum. Like Singh, he sees the Rajya Sabha as his natural parliamentary home — like him again, he was once persuaded to fight a Lok Sabha election and lost, confirming the aptness of his own preferred choice. Finally, like Singh, Jaitley has a reputation for honesty and probity. These comparisons are strengthened by the recent controversies that Jaitley has found himself in. In the 10 years that he was prime minister, Manmohan Singh retained his individual reputation for integrity. No one could accuse him of having diverted a single paisa of public funds for personal use. However, all around him, nepotism and cronyism flourished. In 2011-12, as the corruption scandals gathered force, the PM came increasingly under the scanner, not because he was personally involved, but because he was head of a cabinet some of whose members were seen as having a hand in the till. It has been claimed that the UPA government of 2004-14 was the most corrupt in the history of independent India. And it is widely known in cricketing circles that, even when judged by the lamentably poor standards of our sporting bodies in general, the Delhi and District Cricket Association has been deeply mired in cronyism, nepotism and corruption. It is among the worst managed cricket associations in India. *** Military power will win battles in Syria and Iraq, but only soft power can win the war. As we grapple with the continuing challenges of the Islamic State, it is clear that significant military efforts will be required. There are times when hard power has to be at the center of a campaign, especially against an apocalyptic cult that believes in burning, drowning, and torturing its victims while selling children into sexual slavery, among other horrors. In terms of the military campaign, there are a series of clear steps that we should collectively undertake: building a robust command and control network; increasing intelligence sharing across the coalition; doubling the scope of the bombing campaign; upping the level of cyberattacks; cutting off financing; formalizing a special forces task force; putting in 15,000 troops to train local forces; conducting a multi-axis ground campaign against Mosul with Kurdish Peshmerga from the north and Iraqi security forces from the south; and drawing on the nascent Arab security coalition led by the Saudis to conduct ground operations in Syria. There’s a growing consensus on the outlines of this military campaign, though admittedly, it won’t be easy to execute. What is far more difficult to outline is what tools and strategies will comprise the long game against the Islamic State. In their seminal 2007 report, Professor Joseph Nye and former Deputy Secretary of State Richard Armitage correctly pointed out that to solve the biggest problems we need a mix of hard and soft power — which they termed “smart power.” Of note, that commission included members like former Secretary of Defense Chuck Hagel; Sen. Jack Reed, now the ranking member of the Senate Armed Services Committee; Rep. Mac Thornberry, now the chairman of the House Armed Services Committee; and Marine Gen. Tony Zinni, a former Centcom commander. The most important line in that report is simple: “Soft power is the ability to attract people to our side without coercion.” That is the contest we are currently losing, and bombs and troops can’t comprehensively defeat the Islamic State without it. Facebook in India: Can Mark Zuckerberg's plan really help the poor? Social-media giant Facebook has come under fire in India for its Free Basics plan, which would offer access to some online services, including Facebook, for free. In defending the company's Free Basics Internet service offered in India, Facebook founder Mark Zuckerberg has called Internet access a basic human right. But critics say the plan is less about lifting the needy out of poverty, and more about Facebook's marketing goals. "Who could possibly be against this?" wrote Mr. Zuckerberg Monday in an op-ed published in the Times of India about the service which would offer limited access to online services to feature-phone users, for free. Zuckerberg says the platform will be open to all software developers, and the version of Facebook offered will include no advertisements. Internet access like that offered by the company, he argues, could lift some Indians out of poverty. Free Basics provides information on health, travel, jobs, and local government. By offering a limited number of apps and transmitting as little data as possible, costs are minimized. Zuckerberg made his appeal after the Telecom Regulatory Authority of India asked Facebook's partner, Reliance Communications, to stop providing the service until its legality could be determined. Jai Menon, A Cypriot citizen of Indian origin, Jai is based in East Africa and is a keen observer of Eurasian and South Asian developments. New Delhi must continue to strengthening Kabul in every possible way but it should not expect any miracles to happen. The inauguration of the new Afghan parliament building by Prime Minister Narendra Modi is a hopeful thing. It symbolises the way India sees Afghanistan: a friendly country, with great economic and cultural potential, as well as inherent characteristics including tenacity, ability to overcome circumstances and a fiercely independent population. It also is a recognition of the promise of democracy which, if sustained, can have a deeply positive impact on the future of a country that has a range of sectarian, ethnic and tribal differences. Left to themselves, and perhaps with a little benign guidance, the people of Afghanistan will be able to find a way to live together. For the foreseeable future though, there is close to zero possibility that Afghans will be left to themselves. The reported Taliban takeover of Sangin in Helmand province (and the government fight-back) is just an example. Here is a brief recount of what has been happening in Afghanistan for just the last couple of months (by no means exhaustive). The old nemesis of stability in the country, Gulbuddin Hekmatyar, has been sending out feelers, saying he wants a “real and fair” peace, withdrawal of foreign troops and elections in 2016. Hekmatyar is nothing if not a survivor, and if he’s come out of the shadows there’s a reason – most likely that he has a powerful patron. Who it is is anyone’s guess. Mullah Akhtar Mansour, the Taliban’s new leader and regarded as Pakistan’s man, has been killed or seriously wounded – according to various reports. Again, no one knows for certain (remember his predecessor Mullah Omar was “alive” until 2015 though he was dead two years prior). bloggers is doing battle with Islamists online — and paying dearly for it. U ntil he was stabbed multiple times with a kitchen knife and forced to flee to Europe two years ago, Asif Mohiuddin was a leading member of Bangladesh’s ‘‘freethinker’’ movement and the country’s best-known secular provocateur. We met last June at a cafe on a pedestrian promenade around the corner from his apartment, a sunlit space in a shabby-­chic neighborhood in northern Germany. (He asked me not to name the city.) Mohiuddin, dressed that day in jeans and a green T-shirt that proclaimed ‘‘American Atheists Convention, Memphis, April 2-5, 2015,’’ was still getting used to the tranquillity of his new surroundings. Shortly after he secured a fellowship at a German institute and left Bangladesh, extremists serially murdered four of his friends — all secular bloggers who had criticized fundamentalist Islam and whose names appeared on ‘‘hit lists’’ assembled by hard-­liners and disseminated on social media. ‘‘Everybody is wondering who will be next,’’ Mohiuddin told me while picking halfheartedly at the kiwi slices on his plate. What Difference Will 10,000 Troops Make in Afghanistan? It has been a common refrain since America’s armored bashing of Saddam Hussein in Desert Storm that the United States has the greatest military in the history of the world. Aside from being questionable in its accuracy, this hubristic belief among American political leaders and opinion makers reveals a deeply flawed understanding of what combat power can actually achieve. It also exposes a troubling difficulty many have with understanding the difference between strategy and tactics. Together the two misconceptions result in continuously flawed policy decisions, and American interests continue to suffer as a result. Schools vary widely in quality and radicalism. In the year that's passed since the Pakistani Taliban murdered 134 children at a military-run school in Peshawar, the army has successfully driven many of their fighters across the border into Afghanistan. To win its wider battle against radicalism, however, Pakistan will need not only to protect its schools but also to reform them. The sorry state of public schools in Pakistan has encouraged a great proliferation of religious madrassas -- estimated to number anywhere from 18,000 to 33,000 and to graduate at least 200,000 students a year. These schools vary widely in quality and ideology, from mud-walled classrooms where children learn little but a few verses from the Koran to the sophisticated Al Huda schools for women that Tashfeen Malik attended before taking part in the San Bernardino shooting, to outright jihadi factories funded by militant groups. Under the "national action plan" formulated after the Peshawar massacre, authorities were supposed to map all madrassas, audit their accounts and regulate any foreign funding. But progress has been slow. In any case, it isn't enough just to know where the madrassas are and who's financing them. Police need greater authority to investigate schools suspected of instilling violent ideologies or providing material support to jihadi groups. Thus far, madrassas affiliated with "good" militants -- the ones focused on combating India and Afghanistan, rather than the Pakistani state -- appear to have escaped such scrutiny. Efforts to introduce more secular subjects into the curricula at religious schools have been worthwhile, though they're unlikely to help students learn religious tolerance. More important than trying to impose reform on the madrassas is for Pakistan to provide children with good public-school alternatives. As of 2013, more than half of public schools in the country lacked electricity and 42 percent had no working toilets. As many as 25 million children may be out of school altogether. Combined, the national and provincial governments spend only about 2.5 percent of gross domestic product on education. That share, among the lowest in the world, should be raised closer to 4 percent to pay for more schools and better-trained teachers. Businesses and nongovernmental organizations, some of them foreign-funded, have made worthy attempts to sponsor affordable charter-like schools, or to "adopt" individual public schools. But the problem is too big for the private sector to solve. Attacks launched by the Islamic State for Iraq and Syria (ISIS) and its affiliates have now increased in lethality and expanded in geographical reach. Over the last two months, there has been a train attack in Ankara, the downing of a Russian passenger jet, a suicide bombing in Beirut, several coordinated attacks in Paris, and early this month the attack on an office party in San Bernardino in California by a young couple acting in the name of ISIS. These tales of wanton violence have led to military action: Russia has been carrying out major air attacks on ISIS leaders and facilities since September and is backing ground action by Syrian government forces and their allies. These are in addition to the US-led air attacks going on over the last year. Policymakers and commentators have been struggling to understand the wellsprings of this group that has in just one year set up a proto-state the size of Britain, with a population of over three million, an armed force of several thousand fighters, federal, provincial and municipal administrations having judges, bureaucrats and security officials, and access to funds estimated at over $500 million, obtained mainly from oil sales. Surprisingly, with all its barbarity, the ISIS continues to attract new recruits in the hundreds every month from several countries of West Asia, Europe and other Western nations. The ISIS’ progenitor is the ferocious jihadi in Iraq, Abu Musab al Zarqawi, who began attacks in 2003 on the US occupation forces and the newly-empowered Shia community, with beheadings, ambushes, raids, roadside explosives and above all suicide bombings. Zarqawi was imbued with a deep animosity for the Shia whom he described as “the lurking snake, the crafty and malicious scorpion, the penetrating venom”. A still from a video released by ISIS militants in June 2015 called ‘A Message to Our People in Jerusalem,’ in which they threaten to overthrow Hamas in Gaza because the group is not extreme enoughIn a house in Rafah, at the southern edge of Gaza, I met Sheikh Omar Hams, fifty-one years old, a slender figure dressed in a simple white robe and seated on a mattress on the floor. Hams is director of the Ibn Baz Islamic Institute, based in Rafah, where it also runs a bakery and charity outlets. His mission, he says, is to spread the word of the Prophet Muhammad and to give bread and other aid to the homeless and the poor. Hams is a Salafist sheikh. “A Salaf means an original ancestor—one of those who lived close to the Prophet and observed his actions intimately, followed his ways and his words literally,” he explains. The sheikh teaches his students how to return to those ways, and they in turn spread the word. Unlike many Salafis, who abhor any rational argument about the literal meaning of the Koran, Hams is open to at least some debate. And though sometimes willing to support violent jihad, he accepts that violence is often not justified, preferring instead to secure a return to original Islam through the use of prayer, study, and preaching. Pulling his legs underneath him, the sheikh prepares for questions on how the Prophet might have viewed the methods of Daesh (ISIS)—also Salafists—and on the battle to contain its influence across the world, most particularly here in Gaza. If historical ingratitude were a crime, most of the people writing year-end pieces this month would be in jail. This year was not like 1919, when 3 per cent of the world's population died of influenza, or 1943, when the Second World War was killing a million people each month, or 1983, when we came very close to World War Three (though the public didn't realize it at the time). For most people, in most places, 2015 has been a pretty good year. Yes, of course, there is the war in Syria, and millions of refugees, and the downturn in China dragging the world economy down with it, and terrorism here, there and everywhere. And, of course, climate change waiting around the corner to drag us all down. But if you are waiting for a year with nothing to worry about, you'll be waiting a long time. The war in Syria is four years old and still going strong. In late summer, it looked for a time as if the Islamist rebels were going to destroy the Syrian army and take over the whole country, but the Russian intervention restored the stalemate. There is even talk of a ceasefire now, so that everybody else can concentrate on fighting the Islamic State. BARRON’s Sits Down With Noted Historian/Author Niall Ferguson Who Looks Ahead To 2016 And Beyond — And Sees Troubled Waters Ahead; Is Saudi Arabia, The Iran Of 1979? Noted Historian And Author Niall Ferguson Looks Ahead To 2016 And Beyond — And Sees Troubled Waters Ahead; Is Saudi Arabia, The Iran Of 1979? Professor Ferguson recently announced that he’ll leave Harvard next year to become a Senior Fellow at Stanford University’s Hoover Institution,” Mr,. Racanelli wrote. Professor Ferguson spoke with Barron’s staff at their offices just after the November terrorist attacks in Paris,” and, “was every bit as thoughtful and provocative as he was three years ago,” Mr. Racanelli added, when he previously spoke to the publication. BARRON’S: The U.S. economy has been growing by only 2 percent, or 3 percent a year. Why isn’t it firing on all cylinders? LONDON – Now that oil prices have settled into a long-term range of $30-50 per barrel (as described here a year ago), energy users everywhere are enjoying an annual income boost worth more than $2 trillion. The net result will almost certainly accelerate global growth, because the beneficiaries of this enormous income redistribution are mostly lower- and middle-income households that spend all they earn. Of course, there will be some big losers – mainly governments in oil-producing countries, which will run down reserves and borrow in financial markets for as long as possible, rather than cut public spending. That, after all, is politicians’ preferred approach, especially when they are fighting wars, defying geopolitical pressures, or confronting popular revolts. But not all producers will lose equally. One group really is cutting back sharply: Western oil companies, which have announced investment reductions worth about $200 billion this year. That has contributed to the weakness of stock markets worldwide; yet, paradoxically, oil companies’ shareholders could end up benefiting handsomely from the new era of cheap oil. Just one condition must be met. The managements of leading energy companies must face economic reality and abandon their wasteful obsession with finding new oil. The 75 biggest oil companies are still investing more than $650 billion annually to find and extract fossil fuels in ever more challenging environments. This has been one of the greatest misallocations of capital in history – economically feasible only because of artificial monopoly prices. Where Is America in Japan and India's Plans for Asia? Now is the time to leverage stronger ties between Tokyo and New Delhi in the interest of peace and stability. The recent visit of Prime Minister Shinzo Abe to New Delhi marks a new step forward in the quickly deepening ties between India and Japan. Each led by a conservative prime minister with a muscular foreign policy, the two countries are motivated by a desire to ensure stability in the Indo-Pacific region. They are also united by a concern about rising Chinese power and assertiveness and a determination to balance against it. Washington should welcome the new links between its Japanese ally and its Indian strategic partner and encourage their further growth. The new warmth serves American interests in profound ways. By balancing China and ensuring that it rises in a region where the democratic powers are also strong and working together, closer ties between Tokyo and New Delhi help anchor a peace that is favorable to prosperity and liberal values. They demonstrate that, contrary to Beijing’s claims, the story of Asian security is about much more than an American fixation with “containing” China. And at a time of declining U.S. military resources and rising commitments in the Middle East and Europe, Indo-Japanese cooperation helps reduce gaps that would otherwise emerge in the rebalance of U.S. policy toward Asia. Even before Abe’s trip—his third visit to India as prime minister—the two countries had established what their leaders described as a “special strategic and global partnership.” Prime Minister Narenda Modi has placed special emphasis on building closer ties with Japan since taking office, while Mr. Abe has sought both to increase economic relations with India and to enlist New Delhi in his plans to foster connectivity across the Asian landmass. Imagine Russia as a combustion engine. Oil and gas pumped from its vast territories wash through the economy as taxes, government spending and investment. Foreign currency from oil and gas sales is used to fund imported equipment and products on shop shelves. Cash from the energy industry flows through companies and into pay packets. Whether directly or indirectly, Russians have oil money in their pockets. So while on the face of it, the energy industry accounts for only around one-quarter of Russian output, in reality it is the source of up to 70 percent of Russia’s gross domestic product, according to research by Andrei Movchan, an associate at the Carnegie Center in Moscow. That helps explain how, in the late 1980s, a halving in the price of oil precipitated the collapse of the Soviet Union. The current shock engulfing Russia is even more serious, Deputy Finance Minister Maxim Oreshkin told a conference hosted by Vedomosti, a business newspaper, in December. Russia’s isolation from the world economy due to sanctions imposed over Moscow’s actions in Ukraine last year have worsened the impact of an oil price crash. The Moscow Times looked at eight aspects of the crisis. If the oil price falls to $50 per barrel it would cost Russia some $160 billion in lost annual exports, Oreshkin said. By mid-December, the price of oil had fallen not to $50, but to less than $40, following a collapse of the market last year amid chronic global oversupply. Russia’s response was to maximize output, raising oil production to its highest since the end of the Soviet Union and ramping up exports of gas and metals, prices of which have also fallen sharply. This strategy has brought in extra money and preserved jobs, helping the country weather an economic contraction of around 4 percent this year. But it also undermined the future development of Russia’s oil industry. U.S. government officials and experts have been warning for some time of the vulnerability of the nation’s critical infrastructure, particularly the power grid. A successful cyberattack on the grid could take power offline, rendering an unthinkable scenario of chaos and expense. The Defense Department’s research arm is seeking to do something about this vulnerability with regard to both prevention and response. The Defense Advanced Research Projects Agency has released a Broad Agency Announcement for its Rapid Attack Detection, Isolation and Characterization Systems program to research methods for enabling early detection of cyber threats to the power grid infrastructure as well as reduce the time for power restoration. RADICS seeks to not only address today’s key dependencies on the grid, but focus on how they will evolve over the next 10 years. As the solicitation notes, industrial control systems for utilities have been hosted on an infrastructure that made it immune from cyber threats. However, over the past two decades, costs have driven a convergence of conventional information technologies with industrial control systems, opening up ICSs to cyber vulnerabilities via Internet connections and connections to other systems. DARPA maintains that the goal of the program is to enable the restoration of power within days of an attack that overwhelms the recovery capabilities of affected organizations. “Although utilities are increasingly focused on their cyber-defense needs, the process of identifying, purchasing and installing commercial host-defensive technologies across the industry may take many years,” a release from DARPA said regarding the need for the RADICS solicitation. Currently, the restoration process could take weeks, a time period DARPA wants to significantly reduce. Following criticism from lawmakers regarding the lack of a cyber deterrence strategy, the Obama administration recently presented its view on the matter to relevant congressional committees, recommending an across-the-board approach to defending against threats. According to the document, made available by FedScoop, the administration is emphasizing a whole-of-government and whole-of-nation approach toward deterring cyber threats. The strategy calls for raising the costs and reducing the benefits of conducting malicious cyber activity against computer networks, communications systems, data and infrastructure. Remote cyber operations that exploit technical vulnerabilities to gain access to target machines, networks and information through cyberspace. Supply-chain operations that seek to exploit access to products and services provided to the intended victim and can occur during any point in the product lifecycle. Close-access operations, which may attempt to intercept unprotected wireless communications and other emanations near a targeted system such as hidden emissions from compromised hardware or hosts. Insiders that either knowingly or unwittingly provide knowledge about networks, solicit information from other people, corrupt systems or data, or influence decisions by the target organization. As the Director of the National Counterterrorism Center, Matthew Olsen oversaw the integration and analysis of all intelligence related to terrorism. As he looks ahead to 2016, Olsen told The Cipher Brief the West faces the difficult challenge of countering terrorist plots more in line with the attacks that recently took place in Paris and San Bernardino. TCB: Where do you see the threat from homegrown terrorism heading in 2016? Matthew Olsen: There is every reason to expect that the threat of terrorism here in the U.S. will increase in 2016. The year 2015 is, by many measures, a record year in terms of the number of terror plots and terror suspects who have been identified. This year around 50 people have been arrested for their connection to ISIS – the most that we’ve had since 9/11. That trend, given ISIS’s continued focus on the West as demonstrated in Paris and in San Bernardino, is likely to continue into the next year. That’s obviously posing a huge challenge to our counterterrorism community going forward. TCB: Do you expect the focus to be more on soft targets or do you think ISIS has the aspiration to conduct a big event like a 9/11? MO: My sense is that ISIS has adapted, like other terrorist groups have adapted, to our increased capabilities. Since 9/11, we’ve invested in intelligence and hardening of our infrastructure. We are much better at identifying and disrupting major plots along the lines of a 9/11. What we’ve seen is that terrorist groups, like ISIS, have adapted their tactics to look at smaller scale plots targeting more vulnerable locations. That really was one of the takeaways from Paris, where they targeted restaurants and bars. The expectation should be that those are going to be the types of terrorist attacks we’ll see in the next year. At a time when gender equality in the military stands on such contentious ground, I think there exists an ironic disparity between the contemporary manifestations of this debate. 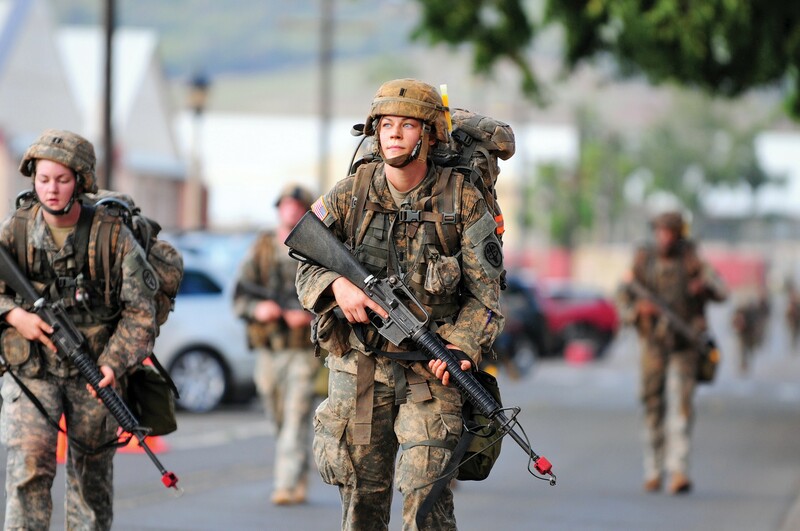 The specific topics that have recently drawn the most attention are the integration of females into Army Ranger School and combat Military Occupational Specialties (MOS). And for these particular microcosms, there are those who have evenly championed for female inclusion in combat roles with the condition of equal standards for males and females. Grounds for female integration include: The term “Soldier” is a gender-neutral concept, regardless if females biologically and physiologically differ from males; if a woman can meet the standards, then inclusion should be permitted; and finally, the main goal of physical fitness tests and standards is to build the most talented and combat effective team — regardless of gender. It seems ironic that the manner in which we apply these three justifications is discriminatory in and of itself. The term “Soldier” should be gender-neutral — everyone is a Soldier first. As long as women can meet the same standard, they should serve in any capacity they are able. The endgame is to maximize talent and combat effectiveness. In part one of this two-part series, Jason Howk offers advice for future leaders of small teams. While leadership is best described as an art that takes years of practice, trial, and error to improve, it also requires an important mathematical technique: addition. Every stage in your development as a leader requires you to master certain skills and avoid various pitfalls. A productive and selfless senior leader is someone who is able to build upon their skills at every level but also retain the previous lessons they learned. Let’s “add up” some techniques, lessons, and ideas that make leaders respected, emulated, and successful. After I was a major for a couple of years, I finally felt like I had learned everything I needed to know about leadership to go back in time 10 years and command my first platoon successfully. The aim of this article is to outline some of the things I wish I knew about leadership at different stages of my career as a leader in the Army as I transitioned from infantryman to noncommissioned officer and then from cadet to company-grade officer. In a second article, I will discuss leadership techniques for field-grade officers and also give some insights into leadership skills required of senior field-grade and flag or general officers from my years as the right-hand man to three generals. This chunk of time covers the initial training environments before you join a permanent team at your first job. It might be in high school, basic military training, or college when you are just one among many trying to prepare for the next stage of life. Listen more and speak less as this is the period to absorb the lessons on teamwork and leadership by watching. No one expects much of you; so listen, try, and fail and then try again. Better to learn from your mistakes at this point then when your leadership is truly needed. Help others to get to your level and even surpass you. This is really the teamwork phase of life. Practice with people who need help to improve because you learn a lot from teaching others. Likewise train with those people who are excelling so you can learn from them. Don’t always try to take charge. This is the time to prove you are a good follower too. Teams don’t need 10 leaders. So when someone else is in charge be a good teammate and listen to their ideas and directions. If you constantly try to stop them to rewrite the plan and show how capable you are, they will never get to learn some valuable leadership lessons. This paper is the first publication in the Countering Lone-Actor Terrorism (CLAT) project, which aims to improve understanding of, and responses to, the phenomenon of (potentially) violent lone actors through analysis of comprehensive data on cases from across Europe. Despite recent depictions within the media, lone-actor terrorism is not a new phenomenon; however, research suggests the threat is increasing as pressure from security services forces a tactical adaptation and groups – including Daesh (also known as the Islamic State of Iraq and Syria, ISIS) – call on those who share their ideology to act alone without direction or support. This paper examines the current state of knowledge surrounding the phenomenon, assessing the limitations of the literature and identifying where further research should focus to add real value to countering the threat. Three recommendations are made: first, increased methodological rigour in empirical research; second, focus on process as well as perpetrators; and third, specific examination of the confluence between returning foreign fighters, domestic Daesh supporters, and the lone-actor threat. If you’re transitioning out of the military, it’s critical that you know how to optimize your Linkedin profile. Corner a corporate recruiter, and you’ll hear a small truth: job searching, like fishing or dating, is as unexplainable as voodoo. Some things work for people, and others doing the same thing will be ignored. Some have natural gifts or advantages when job searching, and the rest of us are simply stuck doing our due diligence. That said, Linkedin is a tool that offers possibilities for veterans looking for jobs. In June, I learned a bit more about these possibilities at a workshop at the UBS headquarters in Manhattan, facilitated by the vet group, American Corporate Partners. On Linkedin, like other forms of social media, you create an identity to appeal to a certain audience. The goal is to place the version of yourself online that will gain the attention of the job recruiters searching on Linkedin. In many ways, Linkedin, like other forms of social media, is much like being a wedding DJ. To get the response you want, you have to play the songs you know the bride and groom are looking for (Note: don’t promise songs you don’t have). Having a nice photo, for example, is important. Profiles with photos are 14 times more likely to be viewed, according to Linkedin. A well-lit portrait makes you look professional, and ensures your profile doesn’t look like a teenager’s Myspace account.